The festival’s Backyard Bash features music, a beer garden and talks about armstrong, recreating the memorable garden parties that Louis hosted for his friends and neighbors at his home in Corona where he lived for almost 30 years. 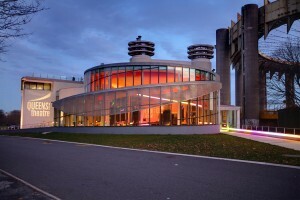 Join us at the Queens Theatre where festivalgoers can enjoy the indoor beer garden, music and other exhibits. Join us at Pops’ Place at the Queens Theatre, where you can listen to Satchmo-inspired tunes, and we’ll serve refreshments at our indoor beer garden to help you cool down on a summer day. The Queens Theatre will be adorned in a New Orleans theme serving their well known “Hurricanes”, wine, and beer with souvenir cups. Don’t forget to grab your mardi gras beads! The Louis Armstrong House Museum and Kupferberg Center for the Arts are teaming up for an art exhibit of Armstrong’s life and career, and a public screening of portions of the only known film of Louis Armstrong in the studio, recording his 1959 album, Satchmo Plays King Oliver. The acquisition of the film first made headlines in 2015, and it was publicly screened for the first time ever earlier this year at The Museum of the City of New York. Armstrong scholar Ricky Riccardi will provide commentary on the film. 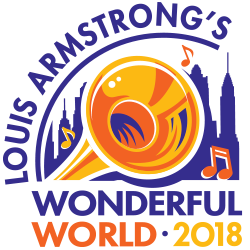 Ricky Riccardi is the Director of Research Collections for the Louis Armstrong House Museum and author of What a Wonderful World: The Magic of Louis Armstrong’s Later Years (Vintage, 2012). He runs the online blog, “The Wonderful World of Louis Armstrong,” and has given lectures on Armstrong at venues around the world. Check back for more details as vendors are added.